From old to new; this is a very recent garage conversion that we completed in the latter end of 2017. 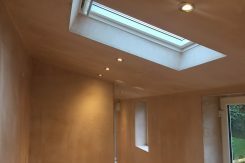 As seen on the images below, this project involved the demolition of an existing garage and the building of a brand new, watertight structure to meet the client’s needs. 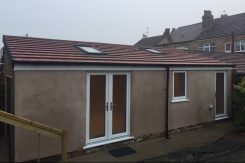 The client requested the installation of two roof lights for the newly constructed and concrete tiled roof, as well as a white uPVC single door, window and a set of French doors. 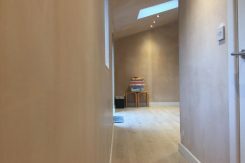 All internal joinery, plastering, electrics, plumbing and external rendering were also completed under our close supervision. Looking for something similar? Why not call us today?